Once you’ve found that elusive parking space, the next logical step is figuring out how to park. Different types of car parking techniques can be employed based on the availability of space and layout of the parking area. Let’s take a look at some common parking techniques. Parallel parking means placing your vehicle in line with the others (front bumper to rear bumper), parallel to a curb. 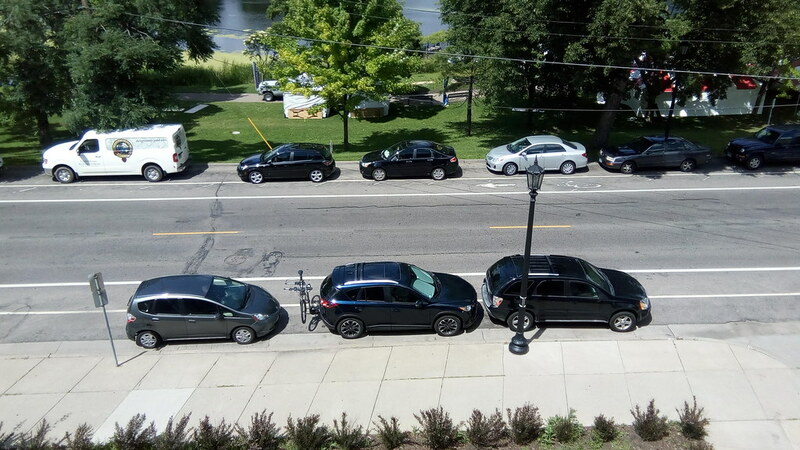 Because it leaves enough room for other vehicles to pass, parallel parking is usually done on the side of a street with no parking facilities. Though it can be tricky, there may be times when you have no choice but to park in this manner. It requires a certain technique that must be followed – firstly, drive your car next to the other car, it will be parallel to. Then move back slowly, the wheel turned towards the curb. Turn the wheel away from the curb fast while slowly driving backward. With the back of your seat in line with the rear bumper of the other car, quickly turn the wheel away from the curb as you slowly move backward. You will sometimes need to adjust your position as you move back and forth. However, make sure there is enough space between the other cars and yours so you can easily pull out of the space. This means parking vehicles side-by-side, at a 90-degree angle to a curb or wall. For parking like this, the car has to be placed at the center of the parking spot with the wheels turned straight. Perpendicular parking requires deft maneuvering in terms of turning. It is mostly done in parking garages as more cars can be parked in a limited space. This is similar to perpendicular parking, the difference being that vehicles align in an angle. It is also easier and faster compared to perpendicular parking. This parking technique is typically used in wide parking garages and streets with enough room to let traffic pass. Double parking means parking a vehicle such that it prevents another from pulling out. It can happen in different situations – on-street, parking garages, multiple parking spaces. On-street double parking, wherein the car is parked parallel to another car parked next to the curb, is illegal. It usually blocks other cars from departing as well as the flow of traffic. Double parking is a common sight in larger cities with the shortage of parking spaces. At times, people who double park their car leave the hand break off so that people can push their car forward or backward if it blocks theirs. In parking lots with attendees, double parking is used for parking the maximum number of cars. It is different from on-street parking in that the cars are parked by the attendees, who also keep the keys. In case a car has to be moved while parking or taking out another, the attendee unlocks and moves it. Double parking technique is also used to describe the practice of parking cars over the lines that separate different parking slots, thus taking up more than a single parking space. At the end of the day, it is important to be careful about where you park. Use the right parking technique to make optimal use of available space without creating obstructions for other motorists.